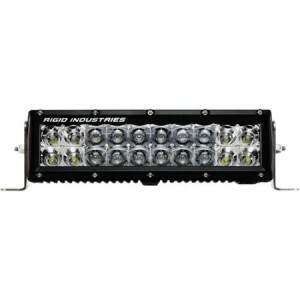 Rigid Industries are one of the most respected, experienced manufacturers of LED vehicle lighting worldwide. 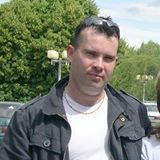 They are dedicated to creating the most innovative LED light bars available. From their U.S. plant in Arizona, they produce strong designs, use the highest quality components and put it all together with superbly executed engineering and assembly. 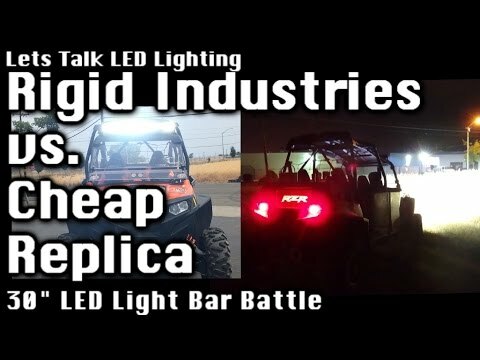 This Rigid Industries E Series LED light bar review tells you all you need to know about one of their latest achievements, the E-Series LED light bar product line. Note: Spot patterns are 10 degrees, whereas flood patterns are 20 degrees. Most models have amber LEDs optional. All come with a limited lifetime warranty from Rigid. Rigid knows that obtaining the most light in the most efficient manner is what matters to their customers. They squeeze every bit of illumination from their LEDs so you can light up every nook and cranny on a dark back road or a rough 4WD trail. 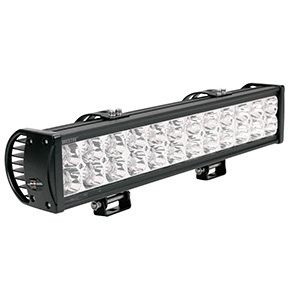 The E-Series features nine lengths of light bars from 4 inches to 50 inches. 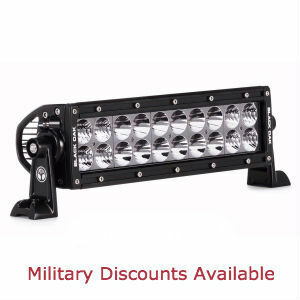 Rigid also offers quality accessories and mounting options for every light. Their M-Series is a functionally equivalent line made for marine applications. 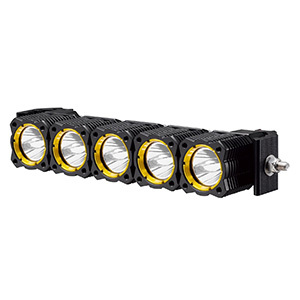 Most Rigid E-Series lights offer three beam configurations: flood, spot or a flood/spot combo. The spot beam on larger models can penetrate up to 1500 meters into the gloom ahead as a result of their superb hybrid optical system that utilizes a reflector and lens for each LED. Its tight 10 degree beam width is ideal for high-speed driving or game and hazard spotting. Their flood configuration has a 20 degree beam width. Its forward penetration is half of a dedicated spot, but it provides a broad view of the path ahead. It is excellent for illuminating work or camp sites. Despite the wider beam angle, it puts to shame even spot versions of less expensive light bars without specialized optics. A spot/flood combo provides the perfect balance between beam distance and coverage area. Combo beams are popular for both highway driving and off-road because drivers can see the road ahead and beneath the wheels. Most E-Series light bars have versions with amber LEDs, which eliminate white backscatter light from water or ice droplets or dust. Especially if mounted low, they provide superb illumination during adverse, impaired visibility weather conditions. 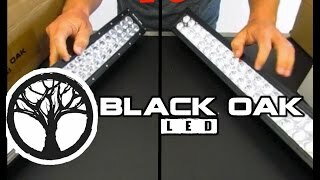 In almost any Rigid LED light bar review, buyers rave about these lights for their solid build quality, modular design, easy mounting, ready-to-go wiring harnesses and most of all their awe-inspiring brightness. A popular YouTube video that compares a Rigid 50″ model to a Chinese-made lookalike will make a believer out of you. Users are consistently impressed with how easy Rigid has made it to install these lights on almost any vehicle in any location whether it be bumper, grill, windshield, roof, rack or roll bar mount. Every kit comes with a 304 stainless steel set of brackets that provide three aiming positions. Rigid also has a large selection of alternate mounting solutions available. Because the E-series has nine lengths and sub-models with different beam or LED options, many buyers utilize more than one model on their vehicle. For instance, they may have a long roof bar, which they keep covered when not off-road, but they add one or more smaller light bars on the bumper, grill or tailgate for nighttime highway driving. Finally, no one is dismantling these lights to squirt silicone around the seals as is standard operating procedure when purchasing cheap knock-off light bars. Rigid’s IP68 rating means what it says. In the rapidly expanding market of LED light bars, there are plenty of new manufacturers trying to take advantage of the market “heat” by putting out cheaper, but lower performing, light bars. Imitators’ products often look the same superficially, but literally fall short when lighting the road, track or trail ahead. 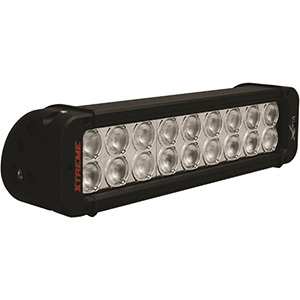 If you want an LED light bar that actually performs and provides years of utility, the Rigid E-Series should be at the top of your list. Their light bars are built to pierce the night while withstanding the most tortuous weather and driving conditions. When you realize that these lights are widely used not only for off-road racing but in agricultural, mining, marine and emergency vehicle applications, you realize that these are tools, not toys.